Get access to my free video - HOW TO GET MORE FOCUS FROM YOUR DOG and learn the techniques and prowper ways of how to do it. All programs are designed to adapt to your dog’s needs and you make your dog the best they can become. Unlike other dog trainers, I believe all dogs can become wonderful. No dog will be turned away because of their behavior, age or ability to learn. You will not be left out without help after completion of the programs, I will always be a resource at your disposal. I am always here for you and your dog. 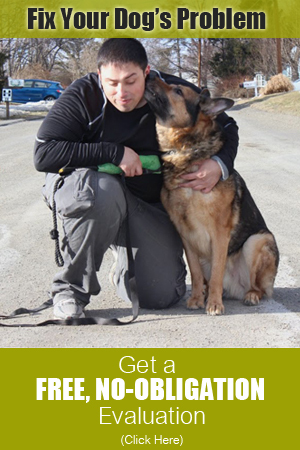 "Helping Families One Paw At A Time"
The methods we use are different from other dog trainers in many ways. All of our programs cover everyone’s needs and they are all guaranteed. I started my puggle puppy Myla with Dog Training and Beyond since she was 8 weeks old, now she is about 9 months. I absolutely love Felix he works so well with Myla and he has a passion for what he does. Felix worked on housebreaking, crate training, socializing, leash work, play, obedience, agility and much more. She is already a well rounded dog and she is not even a year old yet. She gets so excited when we go there she runs right up to Felix every time we pull in the drive way. Would highly recommend Dog Training and Beyond! Thank you Felix!! Thanks Felix you're a life relationship saver. My wife wanted a toy dog like the ones you would see Paris Hilton, Kim & Kanye would have but only the part that you would see on camera not behind the scenes. This dog would do its business where ever and chew or scratch the furniture up. ( I walk Frankie (dog) eveyday for about 45 minutes and buy a bunch of chew toys and dog bones) I wanted to get rid of both of the (Frankie and the wife). I heard from one of my colleagues about Dog Training & beyond but was skeptical of it being a fraud... but was ready to try just about anything. The dog trainer named Felix worked a miracle within a few weeks I thought It was a different dog lol. Well worth the time & money. Now I'm noticing excessive barking at night. I'll see you soon Felix!!! This trainer was highly knowledgeable and was very accommodating. He made sure to understand what my dog's needs were and worked with my dog and I to help achieve our goals. I now feel more comfortable having my dog around other dogs and strangers. The problems I had seemed to have been corrected and it is good to know that if I have any more questions or need any advice I can reach out at any time. The support does not end when the training sessions end, it is on-going and that is something that will keep me coming back for more. I am a certified professional dog trainer and behaviorist who provides training and behavioral rehabilitation for family dogs. I want families to completely enjoy their lives with their dogs, whether you got your new dog from a breeder or shelter. I love dogs and love teaching and helping people, and I GUARANTEE my training will work for your dog. No tricks or gimmicks; no harsh treatments. I meet with you and your dog to tell you the differences between the programs and give you different options to decide from what sounds good to you and your dog’s needs.